After being laid off from Newsweek, 52-year old tech journalist Dan Lyons joins HubSpot, a tech start-up on the brink of becoming a big software and digital service company. 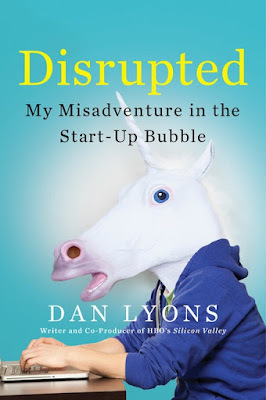 Lyons turns his version of media industry ‘quit lit’ into entertaining insights from inside the start-up bubble, contemporary office culture and a marketing discourse that seems to have become a parody of itself. Everyone works in vast, open spaces, crammed next to one another like seamstresses in Bangladeshi shirt factories, only instead of being hunched over sewing machines, they are hunched over laptops (p.5). Lyons manages throughout the book in sometimes ethnographic detail to contrast the ‘brave new world’ of start-ups and IT companies with a reality that is less glamorous than tours through Silicon Valley offices would suggest. He also offers glimpses into a capitalist bubble that has a long way to go before it can fulfill the aspirations of disruptive social change, new forms of working and making profit or creating anything meaningful in the digital economy. They’re all women, they’re all white, and they’re all wearing jeans and sporting the same straight, shoulder-length hair. They are all baffled by my presence. What is this old guy doing here? I smile and I realize that I already cannot remember anyone’s name (p.8). Lyons observations on a sexist, ‘brogramming’ start-up culture may not come exactly as a surprise, but I found them leading to more profound reflections. Just because more college- educated women are entering certain companies and sectors, it does not mean that social change and empowerment are around the corner. As much attention as the #allmalepanel discussion enjoys at the moment, we probably have to engaged more critically with the all-female blog-, communication- or marketing-team. Another core theme of Disrupted is an unfiltered view into the House of Cards that marketing start-ups build to ensure growth in revenues and create a mirage of a large company that is ready for an IPO. It is in moments like this that Lyons’ book says more about broader social conditions than just HubSpot’s marketing team. Whether it is another UN agency or large bilateral aid agency setting up an ‘innovation unit’ or recent debates around the purpose of international NGOs in our day and age, we will be challenged with tough questions of how our work creates ‘value for money’. Try to imagine the calamity of that: Zack, age twenty-eight, with no management experience, gets training from Dave, a weekend rock guitarist, on how to apply a set of fundamentally unsound psychological principles as a way to manipulate the people who report to him (p.60). Whether or not we disagree with Lyons’ observations from an essentially dysfunctional organization that is all about management talk and hype and very little about the substance of running an actual workplace for and with people, it is a topic worth exploring in the context of ‘our’ industry. Managing ‘human resources’, taking security and well-being seriously or dealing with whistle-blowers are all too familiar topics from the largest development bureaucratic entities to the smallest humanitarian organization in ‘the field’. 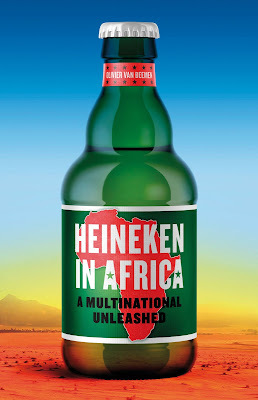 Having the best product has nothing to do with who wins. What matters is who can put on a great show, who can create the biggest spectacle, who can look huge and unstoppable and invincible, and who is the best at bluster and hype (p.131). I wonder how this will apply to the future of the aid industry in an age of increased competition. In the shiny new world of start-up and Silicon Valley companies it is usually a small step from viciously pursuing profit to discovering the ‘philanthrocapitalist’ side of the community. ‘The best drug I ever took was philanthropy’, Lyons’ quotes Salesforce’s founder Marc Benioff who has already been featured on this blog (p.132). As fictitious growth and artificial value of these new companies increase, so does the desire of senior management to ‘do good’ and channel their energy to other ‘inefficient’ sectors of society. In the end, Dan Lyons leaves, excuse me, ‘graduates from’ HubSpot to become the famed writer of the HBO show Silicon Valley. But him ‘graduating from’ HubSpot after the IPO is a tale full of personal deceits, organizational pettiness and legalistic frustrations-in some ways an almost stereotypical corporate America experience that could have taken place pretty much anytime in the second half of the 20st century. People, organizations and work may not have become after all uber-cool, fulfilling and fun. Lyons, Dan: Disrupted: My Misadventure in the Start-Up Bubble. ISBN 978-0-316-30607-2, 260 pages, USD 27.00, Hachette Books, New York, NY, 2016.